Some actors are lucky enough to go through a hot streak where it doesn’t matter what they star in, it’s more or less automatically a hit. This is the pinnacle of movie stardom, but it generally has little to do with acting. 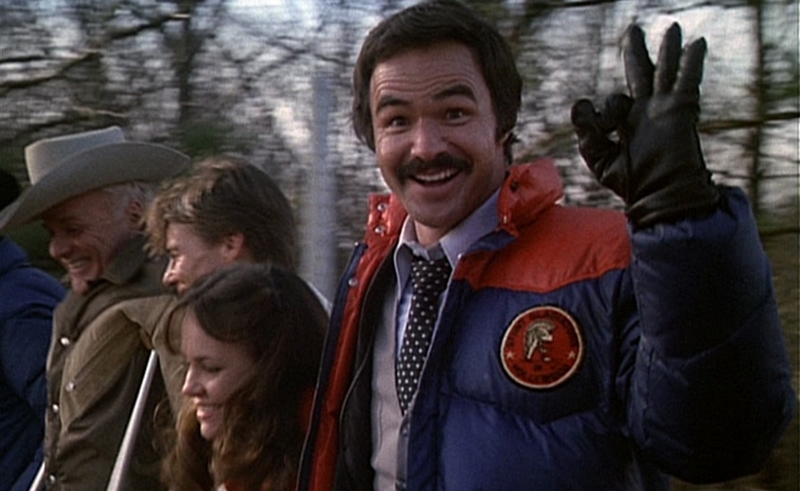 For Burt Reynolds, the pinnacle period stretched through most of the 1970s and into the early ’80s. From the point where he disrobed for his famous Cosmopolitan centerfold—naked and smiling on a bearskin rug with a come-hither look in his eyes, the picture of rugged masculinity—Reynolds owned the 1970s. On the manliness spectrum, Reynolds lay at one end and Alan Alda at the other. 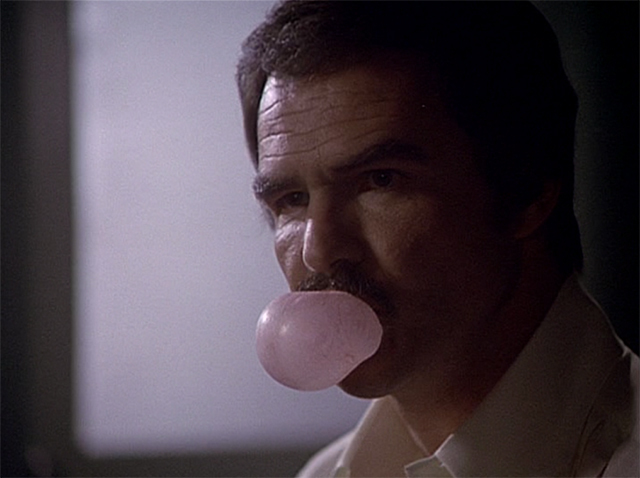 Watching 1978’s Hooper, it’s easy to see why audiences found Reynolds so attractive. Hooper has all but been forgotten today, but it was the sixth top grossing film of its year, eight spots above The End (which Reynolds starred in and directed) in the top-grossing films of 1978. Like its star, Hooper is blessed with tremendous ease and playfulness, and never takes itself seriously. If I were to make an auteurist case for Reynolds, either as an actor or as a filmmaker, Hooper would occupy a central place. In his 1970s prime, Reynolds often seemed to be making movies just for the sake of making movies. But Hooper is obviously personal, a passion project of sorts from a star and a director—stunt-coordinator-turned-filmmaker Hal Needham—intimately acquainted with their subject matter. Reynolds brings an instant authenticity to the role of Sonny Hooper, a character in a position close to where Reynolds was when the film was made. He’s at the pinnacle of his field, “The greatest stuntman alive!” according to the film’s tagline. Hooper is so good at his job that he makes the impossible look easy, pulling off an endless series of tricky stunts with a grin and a wisecrack. But he’s aging in a profession that worships youth. His back aches. The pain of each new stunt requires the pleasant clouding of a pair of Percodans washed down with cans of Coors, or a painkiller injection. He knows his days as the top dog are numbered, and that on some level, he’s already a man out of time, a hard-drinking, hard-living man’s man who lives by guts and instinct instead of cautious calculation. And he’s all too cognizant that a newer breed of stuntman is coming along to take his place: younger, more cautious, more scientific in preparation. Then, at a charity stunt show where Hooper is generally the star attraction, this threat descends from the sky like a falling angel in the form of Delmore “Ski” Shidski (Jan-Michael Vincent), who pulls a red, white, and blue parachute at the last moment. So even though Hooper leads an ideal life with terrific friends, his peers’ adoration, a great house, and a loving, supportive girlfriend—Gwen, played by Sally Field—clouds loom on his horizon. Like any athlete, Hooper can’t go on aggressively abusing his body without it giving out on him at some point. A visit to the doctor suggests that the time is rapidly approaching. Hooper eventually steers in the direction of a dramatic conflict similar to that of countless previous heroes torn between their need for safety and security, and the irresistible pull of that one final job that promises to send them out in a blaze of lucrative glory. But it’s a tribute to the filmmakers that for its first hour or so, Hooper doesn’t seem headed anywhere much at all. It’s a markedly 1970s movie, one less concerned with plot than with people being people. Much of the first two acts are devoted to Hooper and his buddies simply goofing around, trading impressions and affectionate insults, and sharing in the folklore of the stuntman trade. 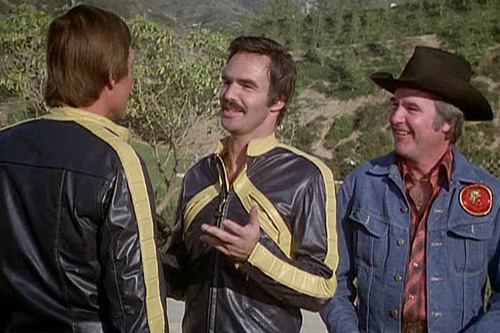 But because this is Burt Reynolds and Hal Needham’s version of a rambling 1970s character study by way of a goofball comedy, the things the characters do while passing the time include getting into a wonderfully high-spirited bar fight with a group led by Terry Bradshaw. The fight concludes, in the traditional fashion, with the principals being thrown out of the bar’s window. The art of the stunt-person is being invisible. If they do their jobs perfectly, no one notices them. In movies, they are almost invariably shown from a distance, to avoid ruining the illusion. So there’s something refreshing and strangely subversive about movies like Hooper, which let audiences see stunts from the inside out. Hooper affords us a peek behind the curtain into the stunt-person’s art, a rare opportunity to see the magician’s tricks close-up. In its third act, the hijinks abate and the film darkens considerably. A director is so impressed with Hooper and Ski’s stunt work that he designs an insane, stunt-intensive climax for his film (which doubles neatly as the impressive, stunt-intensive climax of Hooper) that will require Hooper and Ski to operate a dangerous rocket sled for what is described as the greatest stunt of all time. The stunt pays accordingly— $100,000, split two ways—but it also might disable Hooper or send him to the morgue. It also threatens his relationship with Gwen, who wants him in one piece. It’s odd that such a winning film—a thoroughly charming sleeper that perfectly embodies what made Reynolds such an appealing performer, and such a sure-fire draw in his heyday—has left so little trace. I would chalk that up to the film’s low-key, slice-of-life randomness and its wisp of a plot, to say nothing of its perversely forgettable title. Smokey And The Bandit is a far worse film, but it has the benefit of a much catchier name. Reynolds was hot enough in 1978 that he could star and direct a comedy about death and suicide, just about the least commercial topics imaginable, and still score the 14th top-grossing film of 1978. The End begins in darkness, with Reynolds’ neurotic character “Sonny” Lawson at the doctor in a bit that feels unmistakably like a doctor sketch on an old radio show. This is a good indication of the film’s oddball, Catskills humor. Written by television veteran Jerry Belson, The End casts Reynolds as a real-estate salesman who learns early in the film that he has less than a year to live. He promises to die with dignity, and immediately begins behaving in the least dignified manner imaginable. A boldly old-fashioned comedy in a newfangled Hollywood, The End believes in the notion that no gag is so familiar that it cannot be artfully recycled. So when Sonny says he’s going to visit his girlfriend Mary Ellen (Sally Field, again) to say goodbye, but he will definitely not tell her about his imminent death, it’s inevitable that the next sounds we hear will be of Mary Ellen weeping uncontrollably at the prospect of Sonny’s demise. The End takes on an increasingly melancholy air as Sonny contemplates all he’s going to lose, and all he regrets about a life led unwisely, in pursuit largely of pleasure. 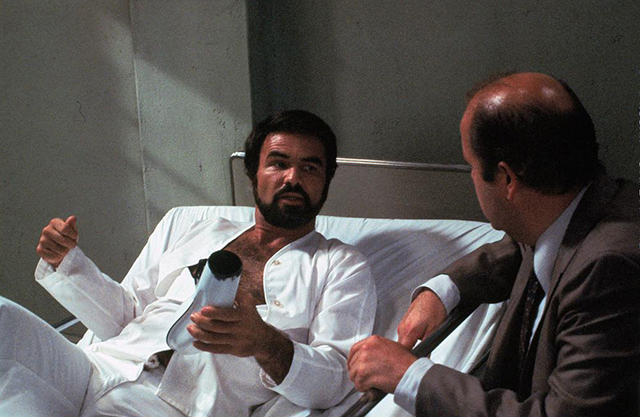 The film is unusual in that it’s billed as a buddy comedy between Reynolds and his professional sidekick Dom DeLuise (as Marlon Borunki), but DeLuise doesn’t show up until more than 50 minutes into the movie, after Sonny has attempted suicide and ended up in a mental hospital. At this point, the film stops being a winningly low-key, quirky comedy, and becomes a vehicle for DeLuise’s poor-man’s Jonathan Winters routine. DeLuise was not given to subtle performances, but playing a schizophrenic in a movie directed by a good buddy gave him license to devour scenery like he never had before. This puts Reynolds’ character in the unfortunate position of becoming his sidekick’s sidekick, since he’s reduced to rolling his eyes in irritation at his new friend’s antics. At times, DeLuise doesn’t even seem to need Reynolds to play off, since he’s content staging animated, angry conversations with the many loud, irritating voices inside his head. Eventually, the film’s old-fashioned, shtick-friendly tone stops seeming charming and becomes exhausting because DeLuise exerts so much effort where none is necessary. One of the trickiest feats for a comic actor is playing a character who’s hilariously irritating without annoying the audience in the process. Bill Murray pulled it off beautifully in What About Bob?, but DeLuise misses the mark here. 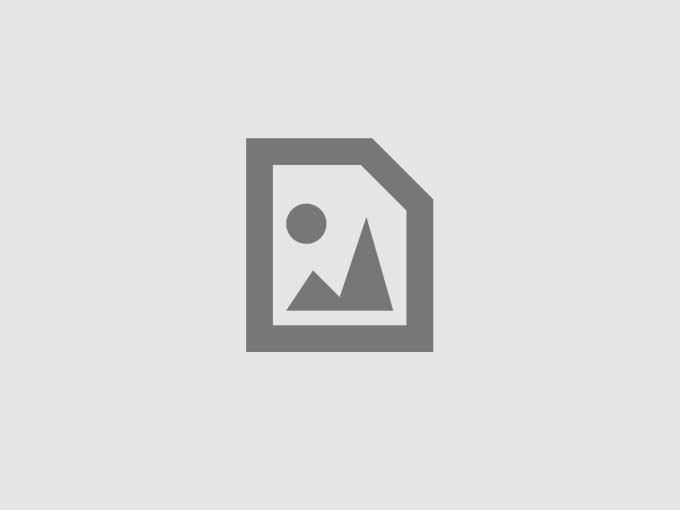 He introduces a new motivation for Sonny’s suicide: Death seems like a joyous reprieve from having to spend any more more time with Marlon, for Sonny and the audience alike. It doesn’t help that Sonny ends up in one of those only-in-movies mental hospitals filled with people pirouetting about madly in straightjackets, thorazine zombies staring off into the distance, and gown-clad old men making bird sounds for no reason. Like Hooper, The End is boldly quiet in the early going. But DeLuise’s entrance signals a jarring shift in tone, and the film becomes loud and filled with screaming, mugging, and sweaty, overwrought, suicide-themed slapstick. When it comes to eking laughs out of one man’s desire to end his miserable existence, Reynolds and DeLuise have nothing on Bud Cort and Ruth Gordon in Harold & Maude. By the time Sonny has decided he wants to survive, the film has strayed so far from the path that it’s difficult to care whether he lives or dies. It doesn’t help that Reynolds and DeLuise’s entire dynamic comes down to screaming at each other. The End is two-thirds of a sly dark comedy before it gets dumb, big, cartoony, and leaden in its third act. Like Reynolds’ career, it starts out strong, then hits a wall. 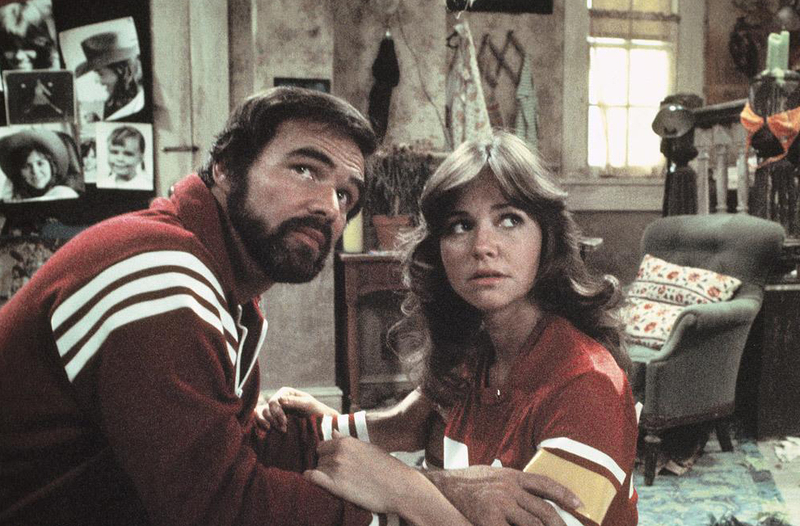 Yet re-watching these films from Reynolds’ strangely underrated 1970s golden age (I’m also partial to The Longest Yard and Semi-Tough, two comedies from this era, as well as Deliverance) I’d like to imagine the old stud has got at least one comeback left in him. If it isn’t of the Boogie Nights level, then it might at least be akin to his go-for-broke, crazily committed turns in Striptease and Citizen Ruth.